Lightning Strike: Is it really an electric superbike for the masses? Thread: Lightning Strike: Is it really an electric superbike for the masses? We all know Lightning Motorcycles from their frantic electric superbike the LS-218. Frantic because it makes 227 Nm of torque, 200 Bhp of power and is capable of a top speed of around 350 Kmph with high speed gearing and fairing. But it also costs $38,888 which is ‘a bit too much’ so to speak. 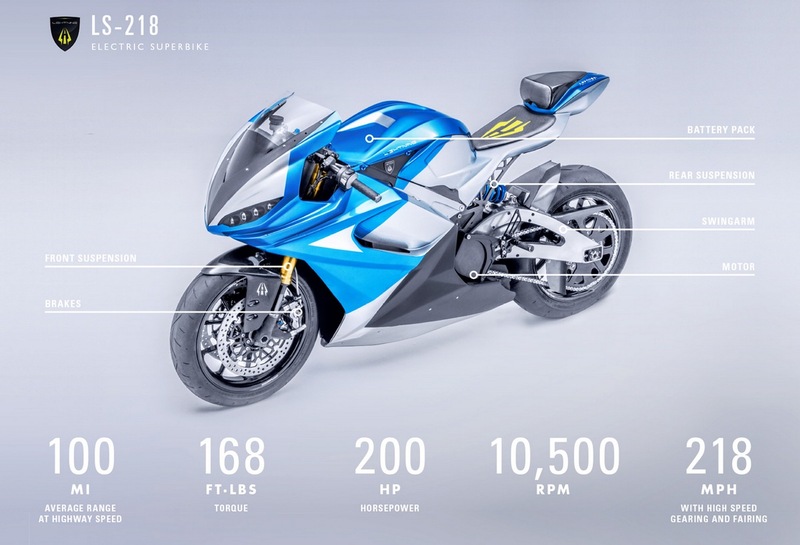 But Lightning Motorcycles have confirmed that they are coming up with an electric superbike for the masses. 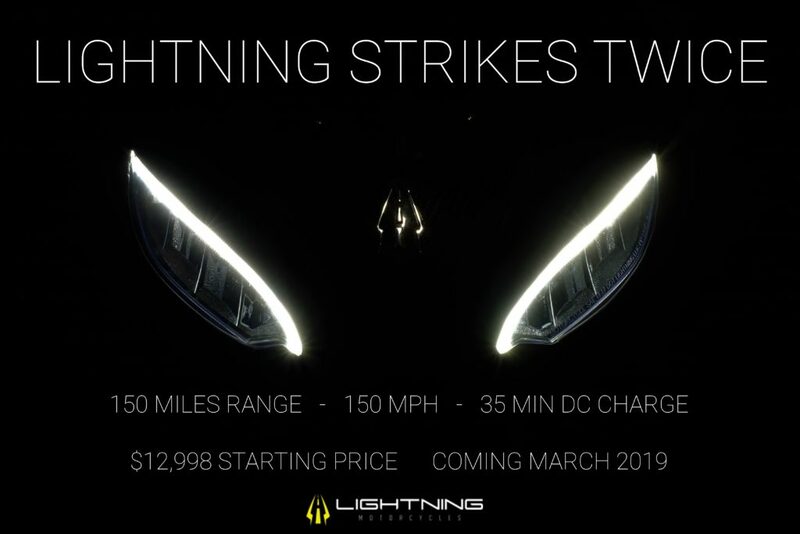 Lightning Strike is the name of the motorcycle and it’ll be unveiled in March 2019. There has been quite a lot of commotion in the electric motorcycle world with the Harley Davidson LiveWire, Arc Vector and the likes but Lightning Motorcycles have been quiet for some time. The silence has ended with the announcement of the Lightning Strike, which they refer to as an offering from Lightning for the masses. They have stated that the price for Lightning Strike will start from $12,998 which seems spot on for the specs that have been teased for the Lightning Strike. The teaser does not reveal much about the motorcycle except a very Panigale-ish headlight and some specs. In the teaser they have claimed a range of around 240 Kms, a top speed of around 240 Kmph and 35-minute DC fast-charging capabilities. We believe with the top speed and range being boasted, it will be a fully-faired model and the cues for the styling might come from the big bad LS-218. Lightning was founded in 2009 with an aim to offer the customers the highest performance, best quality and value with each product. They also dedicate themselves to develop exciting new products that will attract new motorcycle riders based on ease of operation, superior user experience, and accessible performance. The crown jewel is of course the Lightning LS-218 which has been one of the most scintillating electric superbike ever built boasting of a top speed that can put some very established internal combustion engine motorcycles to shame. Last edited by NewsReaper; 01-19-2019 at 11:48 AM. venky, Samarth 619 and ginzon like this. Re: Lightning Strike: Is it really an electric superbike for the masses? I think this Strike should be a good product, except that with a 150 mile range, running out of range is still a fear.. Lightning has great potential but it really needs to expand its markets. The Japanese giants are giants due to marketing only. Lightning hardly has any global presence. Even bikers do not necessarily remember the brand name. You know, marketing is today's business keyword. For example, if you make a Pen or permanent marker that is not as good as its competitors like Luxor or Camlin, then what can you do? You simply market and sell it where the competitors are absent, like the African market! I've seen cowdung cakes (as a fuel/ worship item) and original Gangajal being sold online... Normally they wouldn't succeed. But they did because online means the entire country is your market... and that means huge potential. Even if each Indian town has (say) at least 3-6 customers for your cow dung cake, congrats, you just sold about 5000 of them..
Take this figure to a global level and you know that a fortune can be made out of anything that's even slightly rare... Lightning must focus on expansion. However, if they are taking it slow deliberately to improve upon their weak points, then its understandable..
Japan's Terra Motors unveils Rs 18 lakh electric superbike..